Yeah I got one. 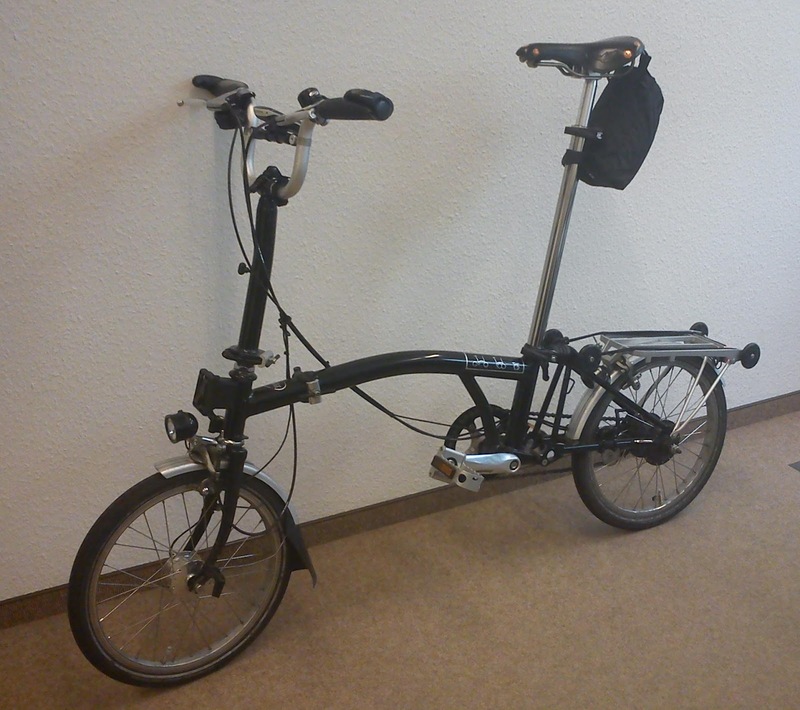 It is a modified Brompton from Junik-HPV. It has a Shimano Alfine 11, which makes it really nice to ride. It is quite different from my Strida. The riding position is not as upright as on the Strida, but still comfortable and I finally have room for my knees. The folding is more complex and the resulting package is smaller but wider. The Strida is easier to transport while folded. 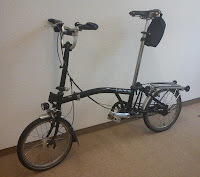 The folding of the Brompton is done in five steps plus one optional step for the pedal. The folding of the Strida needs only a single step with four optional steps for the both handle bars and pedals. The luggage options on a Brompton are a lot better then on the Strida. The front block is extremly useful and allows to transport a lot of stuff. It is connected to the frame, not the stem, so it does not affect the steering. You can add something comparable to the Strida using a Klick Fix Caddy. But on the Strida this makes the steering more difficult depending on the load. Unlike the Strida the Brompton has a dynamo hub. So now I have light without thinking about batteries. I am thinking about an adapter so I can use it to charge devices during tours.